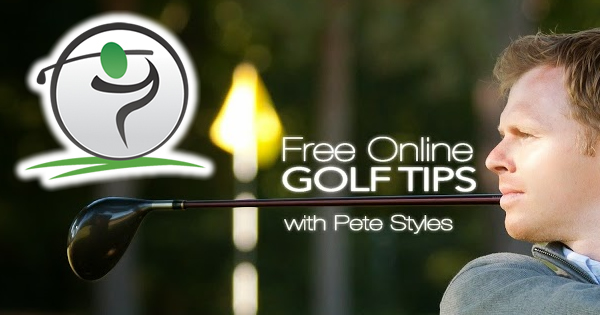 Use the golf tips below in order to improve your golf backswing. 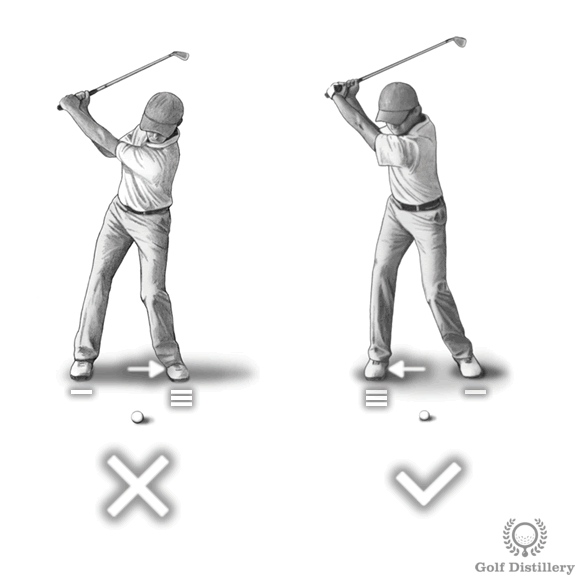 The backswing is a swing sequence that takes place immediately after the takeaway and will bring your club up until it reaches the top of the swing. From the moment you address the ball to the moment you reach the top of the backswing your left arm should remain straight. 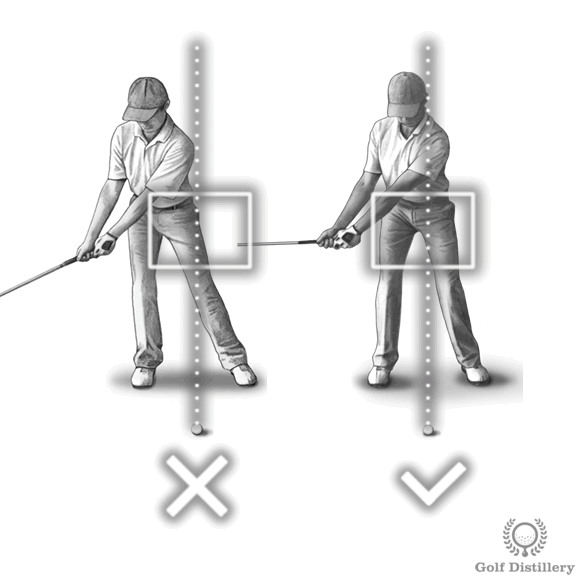 Or in other words, you should focus on not letting your left elbow bend during your backswing. 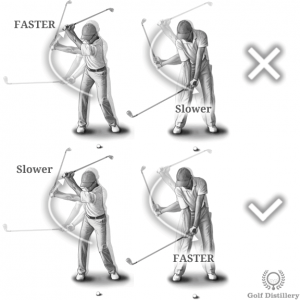 Some golfers incorrectly do allow that elbow to bend – especially at the end of the backswing – in order to bring the club further back still in the hope of generating more clubhead speed on the downswing. Your left heel should not be allowed to lift from the ground as you are bringing the club up during the backswing. 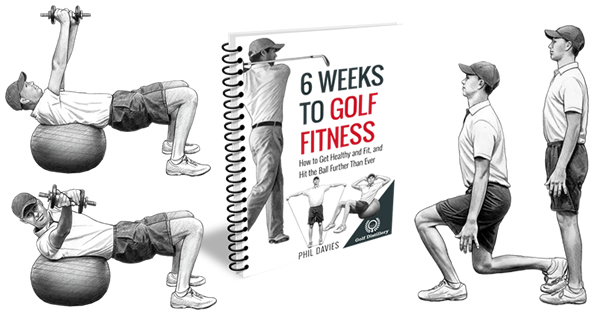 While some great golfers certainly have played entire careers lifting their left heel from the ground it is normally unadvisable to most golfers. Amateur golfers that do rise their heel often do so in order to take the clubhead back further in an effort to generate more clubhead speed on the downswing. That being said, some golfers can indeed benefit from lifting their left heel as it may allow for a complete turn and swing when flexibility issues make it difficult otherwise. Some level of flex is to be kept in the right knee over the course of the backswing. Actually, if possible, the right knee should remain in the same bent angle as the one set in the address position while setting up, or close to it. This is in contrast to straightening the right leg on the way to the top of the swing, which is to be avoided as it dramatically changes the angle of the hips, and of the swing path. Failing to maintain flex in your right knee will lead to the locking your right knee swing error, which changes the angle in your hips and leads to inside-out club path. As the majority of your body weight is moved towards your right foot during the backswing your left knee should be restricted from moving laterally too much. Instead, it should move in such a way as to point towards the ball, or to a spot in the middle of your stance. This is in contrast to seeing the left knee collapse and move too severely towards your right foot. Such a collapse is associated with a reverse pivot swing error. Your hips should rotate gradually. 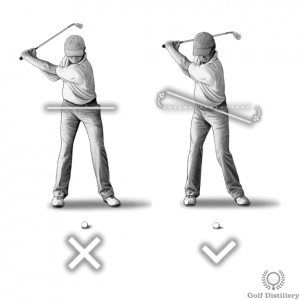 Specifically, they should start to coil as soon as the backswing begins, i.e., when the club shaft is parallel to the ground, and stop when you reach the top of the backswing. This is in contrast to not rotating your hips at all in what is called an ‘all-arms’ swing, which does not set your body up properly for impact. 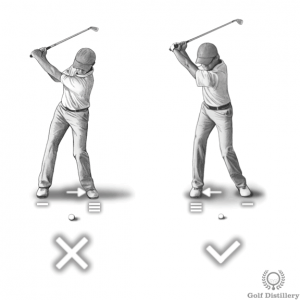 While it is true that your weight should move towards your right foot during the backswing it should do so naturally through the rotation of your hips and the fact that your arms will be located on your right. 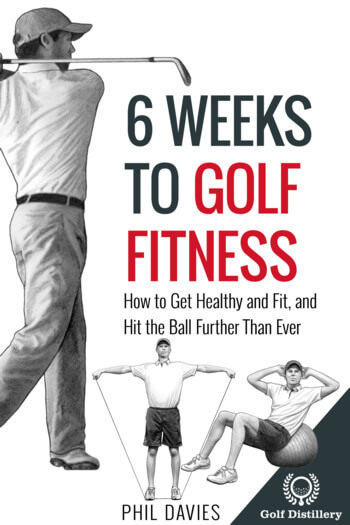 That weight transfer should not occur through the sliding of your hips backwards towards your right foot as such sliding of the hips represents the first half of the swaying golf swing error. In line with the advice above regarding the spine angle – which is to be kept intact – is the advice to keep the head in the same position. 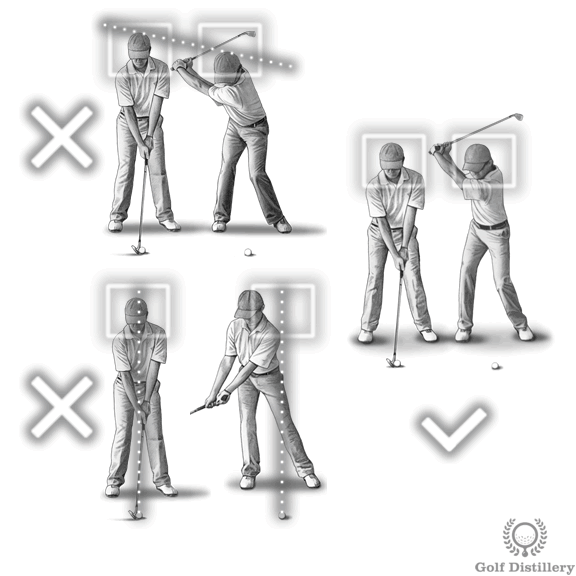 Indeed, during the backswing the head should not move much from its location in the air, either horizontally or vertically. Moving the head down during the backswing involves changing the spine angle, which is not advisable and indicates a failure to maintain your spine angle swing error. 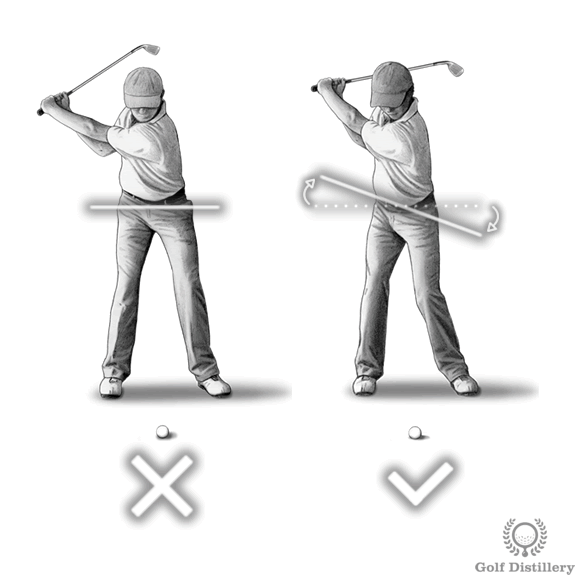 Moving the head horizontally involves sliding the hips, which again is not advisable and in this case an indication of the swaying swing error. 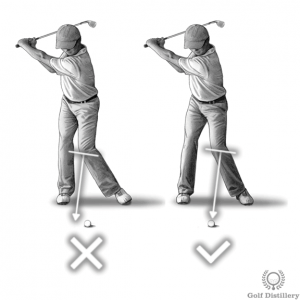 During the backswing your weight should move towards your back – right – foot. The reverse pivot swing error is characterized by doing the opposite, where the weight of the golfer is moved towards the front foot instead. 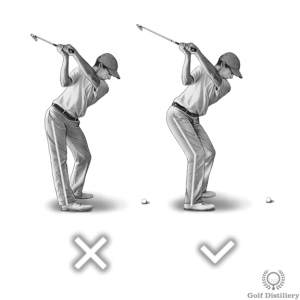 Carefully moving the weight back and forward again will promote a solid and strong strike at the ball. A good golf swing is one that can be said to exhibit good rhythm. 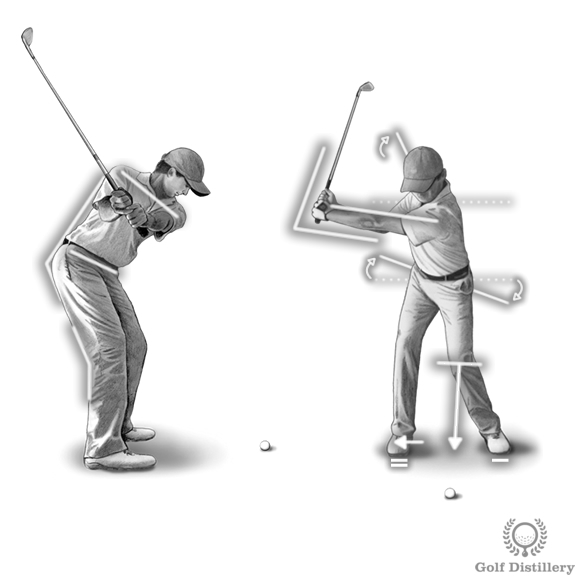 This naturally occurs in swings that move from one step to the next in one smooth motion. Of particular importance is the pace set for the backswing as it compares to the one seen in the downswing. 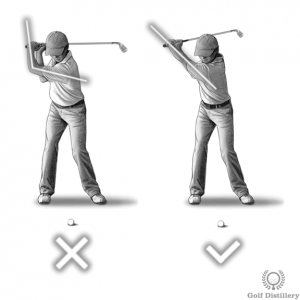 Specifically, the backswing should take slightly more time to progress than the downswing. Or in other words, the pace set for the club to go from address to the top of the swing should be slower than the pace for the clubhead to come down from the top to the impact point at the ball. This is in contrast to the opposite, which constitutes the dreaded deceleration, or ‘decel’ swing error.